You may remember I've been to dreamy Thailand twice, once in Hua Hin as pre-wedding trip, and another time in Phuket, right after our Hong Kong wedding reception. The hubby, on the other hand, has been to Thailand around 10 times in his life. 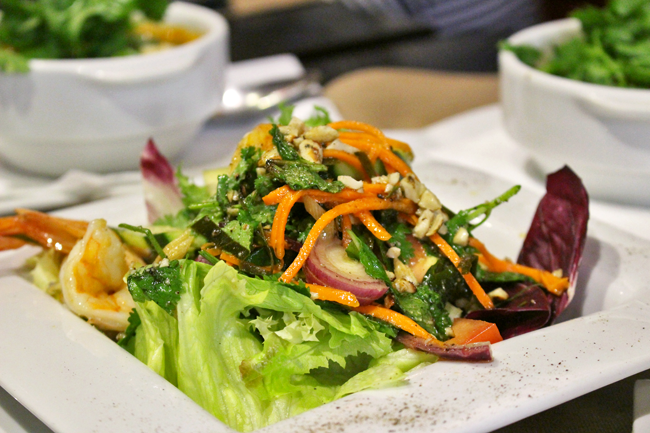 This is why, when we find delicious genuine Thai food, we know it. 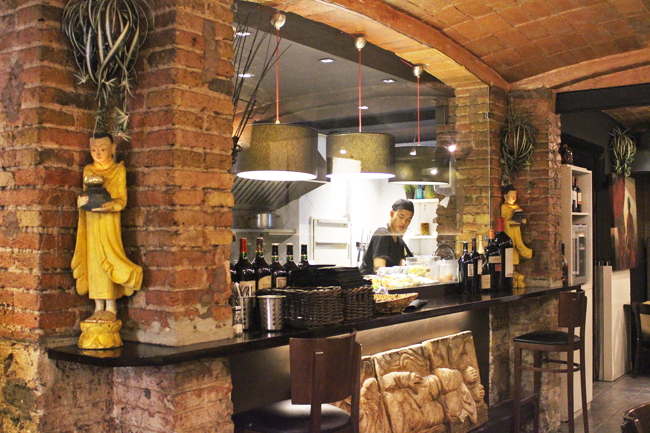 And, guess what, we have found Thai heaven in Barcelona. Ever since we discovered Thailandes half a year ago, we've been back 8 times. That's a lot for us, considering we seldom repeat restaurant as we always prefer to try new places and Barcelona has way too many restaurants to discover! The curry from Thailandes is one of the best either J or I have ever tried, no matter in Thailand, Hong Kong or Europe. 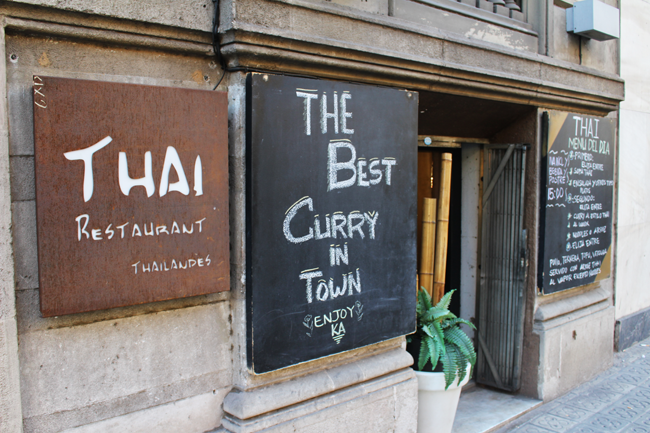 I think it is undoubtedly the best curry in Barcelona, definitely a must try for curry fans in the city. 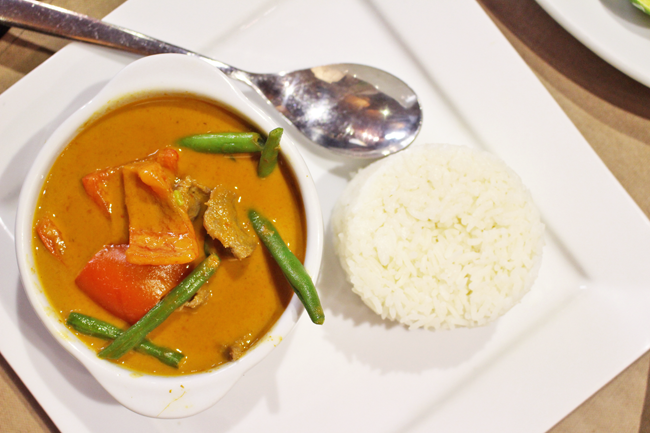 The best of them all is the red curry, make sure to order it and you won't regret. The yellow one is really good as well, while the one I liked the least was the green, but then it may be because it was too spicy for me. There's a set lunch, from Monday to Friday, for 15 euros, which is what we've always had, because it's a really good deal! There's a starter, a main dish, and a dessert to choose from a very long list that's always the same. For the starters, I'd recommend the soups the most. 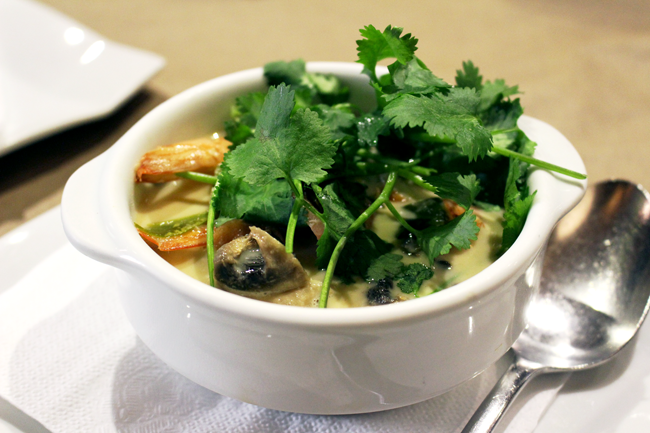 The Tom Kha Gai (Chicken Coconut Soup) is my fave. It's a rich, creamy, delicious soup you'll find yourself addicted to. (The one in the picture above is Tom Kha Goong, which is the same but with shrimps instead of chicken, since you can choose). The other soup, one of the most famous dishes from the Thai cuisine, Tom Yum Goong, is a spicy soup with shrimps, also a sure bet. 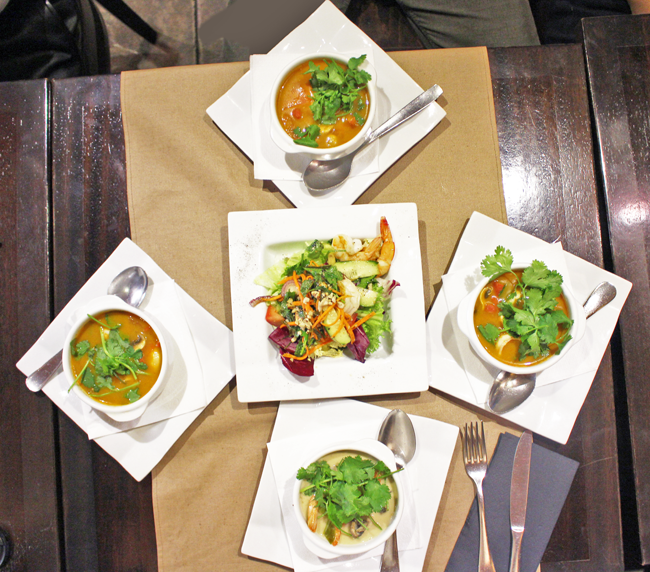 If you're not that into soups, salads are also outstanding, yet spicy, be warned! As I mentioned, the best main dish is the curry (red, yellow or green in this order), but Pad Thai, the famous stir-fried rice noodle, is another good choice. definitely going to this place when i travel to barcelona one day!